What is the best time to junk my car in Sydney? So, you are in a dilemma whether to put more money into your vehicle or scrap it. Maybe your old vehicle needs another pricey repair job to be in a good working order. Or perhaps you just don’t want to use it anymore. Even if you get your automobile fixed you will need to know exactly how long it’d be until you’ll hit the auto repair shop again. But since the future is uncertain you will need to make a wise decision about whether to junk your car or fix it. Here we have listed some helpful points that you must consider before you decide to fix or junk your vehicle. When you decide whether to junk or repair your old car, you must know its previous year maintenance and running costs. This includes the cost of all such minor repairs like tune-ups and oil changes. Also consider the number of visits you made at the auto repair shop. Don’t forget to consider the existing repairs that are on your list. After summing up all the repair and maintenance costs you will have the idea if it is more than its actual worth. Now you can easily decide to keep or sell the vehicle if its repairs are feasible in your budget. If you are planning to buy a new vehicle and junk your old one, then make an estimate of the insurance costs beforehand. There may be chances that it will cost you more. This will eventually increase the rates of newer automobile. If you are planning to purchase a new car, you must know about the rebates of incentive that you will get. When you find that the deal is sweet enough, you can consider junking your automobile. Remember that some auto dealers also provide free maintenance services for the new automobile. If you want to replace your old automobile with a second hand one, don’t forget that you‘ll likely face more problems. It’s because sooner or later used automobile will likely break down and need pricey repair. So, it won’t be worth switching your junk car with a used one. Whenever it comes to selling an old vehicle, it’s always smart to know it’s current value. To determine your vehicle’s current value you can take help of reliable online guides. Bear in mind that if your automobile need some minor or major repairs, it’s value will drop. Make sure to check your vehicle’s history when you are assessing the current state of your automobile. This will present you a clear record about its maintenance and service history and determining its value accordingly. You must also know what all repairs have been made in your automobile so far. Check if any major repairs have been made in it. It will help you identify about any potential problems on the horizon. When you have a look at the previous repair work on your automobile ensure to pay special attention to the condition of expensive components. This includes the parts like transmission and engine. If you have recently replaced both or either of them, then it’s a great thing. On the other hand, the replacement costs of your major components will be high and also add up. Furthermore, you must consider any major repair work on your vehicle that has been recently done. It will help you ascertain a fair price for your wheels. Its’ important to check your auto body condition. Generally, automobiles tend to accumulate rust after being in service for considerable years. Thus, rust may likely to be accumulated in less obvious spots like brake lines, fuel lines, brake lines, and other hidden components. Even if you have an old vehicle that will run fine after a few major repairs. It’s important to know whether or not it is safe to use. Your automobile must have working air bags, seat belts, tyres, brake and other safety features. It must also have advanced safety components like electronic stability control and back-up cameras. If your existing financial condition is sound, you won’t be in a dilemma to “junk or keep your vehicle. Ideally, you must choose to sell your junk your automobile only when you know that you are ready to pay monthly payment for new one. Also, determine if your automobile is too small or big for your lifestyle. If your current wheels is not suitable for your needs, you may better replace it. Looking for the scrap car buyer in Sydney? Contact WreckMonster now. Traditionally, vehicles were simply dumped at a landfill facility when they start aging or get wrecked in a major accident. However, now wrecked or decommissioned vehicles are scrapped at wrecking yards. It is the place where damaged vehicles are dismantled for their working parts which are reprocessed as used spare parts. Whereas the metal parts that are not operating are offered to scrap metal recycling companies. Additionally, car wreckers are the best place for disposing flood damaged vehicles. Since they offer fuss-free and economical ways for the proper disposal of broken machines. If you are having an old useless vehicle that is not worth fixing, selling it to auto wreckers will be your best option. When your old vehicle doesn’t function properly, you might look for the replacement of a few parts to fix it. However, it could be difficult to find good quality used auto parts within your budget. When junk vehicles are brought to salvage yards, they are first dismantled for valuable parts. After that the usable parts and components are identified and recycled in the cleanest way. These refurbished parts are then sold to the owners of operating vehicles. This helps people in saving up to 50% or more by purchasing vehicle components that are recycled and 100% tested. This goes for all such components like body parts, transmissions, wheels, mirrors, doors, headlamps tyres, engine parts and many more. Recycling of unwanted automobiles helps in saving both the natural resources and energy. Since experienced auto wreckers know how to recycle oil and other toxic fluids appropriately. It holds great significance for the environment than ending up in rivers, lakes, storm drains and landfills. They also have qualified experts which efficiently recycle glass and plastic components for automobiles. This can reduce the environmental impact of End-of-life automobiles and help the environment. Typically, auto recycling process is highly very complex and people should seek help from experienced professionals. All of the hazardous worn out parts are pulled apart from the automobile and discarded. We all know that steel is always hiring to make and salvaged. Since this process provider planning than starting the steel making process for new cars with iron ore refinement. Recycling your old clunker will not only dispose it while helping the environment. Often they make sure that you get an impressive cash for car service. It is usually best for your place and look for vehicles that continue to be used is the best job to protect the environment as well as its surroundings from harmful emissions of junk auto wreckers. Have you recently sold your car? Has it been stolen? Or has it been repossessed? If any of these things have happened, it is important that you tell Transport in New South Wales immediately. If you don’t, you are at risk of getting punished for the new owner’s reckless driving. The ultimate goal is to cancel your registration. Furthermore, there are many reasons why it is of the upmost importance that you report your vehicle as no longer yours to the government. The new owner of the vehicle might get into a road accident. It might be used as a getaway car during a bank robbery. Someone might use it as a weapon in an act of terrorism. The driver may violate traffic laws in any number of other ways. Should one or all of these things happen, and the driver is caught, you will be held responsible. Furthermore, it will be a giant hassle for you to clear your name, and will include talking to the police and going to court. Your time is valuable, and this kind of mess will use up a lot of it. You also stand to lose actual money as well. If the severity of the crimes committed by your vehicle is bad enough, you could end up with more than just fines. Jail time is a real possibility. It happens all the time. A vehicle is just minding its own business and suddenly its licence is cancelled. But why? Well, for one, the owner might not be up to date as far as payments are concerned. Or the registration has been cancelled. It may turn out that the car in question wasn’t really just minding its own business, but was instead being used for joy riding and was subsequently written off in a crash. First of all, it is important that you follow the correct NSW transport procedures when doing this. You can cancel the registration of your car at any time. Thus, just find out where the nearest service centre is in NSW, go there and cancel your registration like a pro. Here are the things you will need. Of course, first and foremost you will need to have good proof of your identity. Otherwise you could be anyone. Bring along your car’s registration certificate. Get your hands on a cancellation of registration form. It is helpful if you can also remove the number plates and have them on you. If you are doing this because the car was in an accident, have the letter from the police or your insurance company. It will have the date of the accident on it. Don’t forget to have the cancellation payment fee with you. Or at least in the bank. The engine number, the Chassis number, the year of manufacture, and the registration plate number. Your licence or customer number, along with your address, date of birth and the name of the buyer. Follow the tips illustrated above and the whole process should run smoothly. Finally, get in touch with the Wreck Monster crew, one of the top auto wrecking & car removal experts in Sydney, NSW. Just explain us your situation and we would be able to help you straight away. Why should I recycle my car rather than selling? Recycling any type of old or unwanted car reduces waste and contributes to the well-being of the Environment and its surroundings. The cherry on the top is that you can also reap financial benefits from this eco-friendly conscious decision. Yes, that’s right. Auto disposal companies that follow environmentally friendly measures to deal with scrap vehicles provides a good way to sell off undesirable automobiles. They will collect your vehicle and tow it away to the salvage yard without charging you even a single cent. Sometimes it is more valuable to sell your old clunker as a scrap than selling it as private. Cash for car is the best option as you don’t even need to leave your home and you can recycle your vehicle while getting good cash. These companies will assess the parts and materials of your automobile, so as to know how much money they can make from it. Often vehicles are rendered useless by major accidents and it may not be worth the cost of repairs. No one loves to buy such automobiles except a wrecking yard who deal in all types of written-off automobiles. As they have the capability to locate and extract various parts that are still functioning well. They will record the number of working parts that are salvageable and store them in their inventory of second hand parts. They sell these parts to people at discounted prices and with a limited warranty. 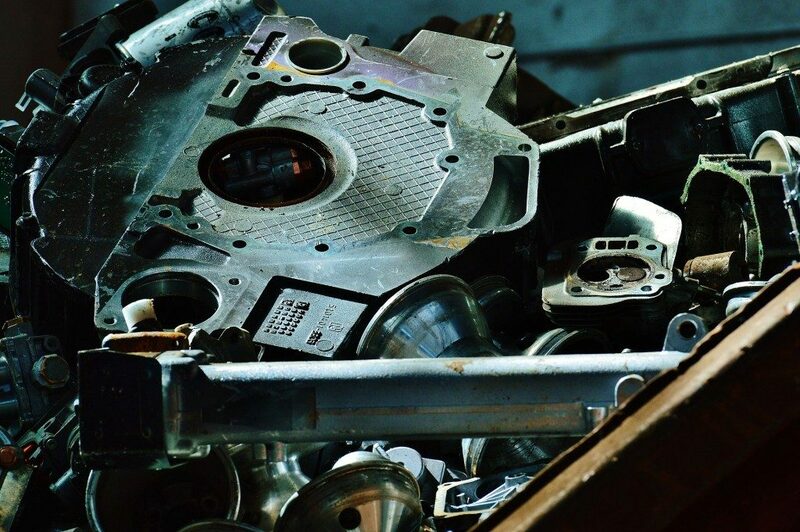 Reusing them in other vehicles will help them to avoid fine working parts and components from ending up in landfill. A reputable auto dismantling service will have proper license and certification so as to recycle unwanted automobiles in an ecologically sound way. It is important to ensure the correct disposal of hazardous fluids such as oil, fuel, and coolants. Getting rid of these substances in a proper way helps to prevent them from going into the ground and avoid any detrimental effects on the environment and its surroundings. Recycling your automobile with auto recyclers ensures that you are putting your vehicle to some good use. When steel is manufactured, various harmful greenhouse gases are produced. Therefore, it is wise to recycle the used steel rather than refining the iron ore. As it consumes significantly less energy to recycle steel rather than producing it from the scratch. Moreover, by recycling your old or junk vehicle, you are doing a great favour to the environment. Recycling old or unwanted cars is indeed a trouble-free process rather than simply ditching them in an open landfill. Moreover, selling an old or used vehicle to scrap auto buyers requires time and efforts to advertise it. On the other hand, hiring the services of a professional auto recycling company in Sydney, NSW only involves giving them a call and they will be there to help you out with their best services. They will take care of everything from organizing the towing of your vehicle to wrecking and recycling it properly. In most cases their experts can do all this in one day and make it quite easier for you. Dispose your junk car in Sydney with Wreck Monster if you like our options.